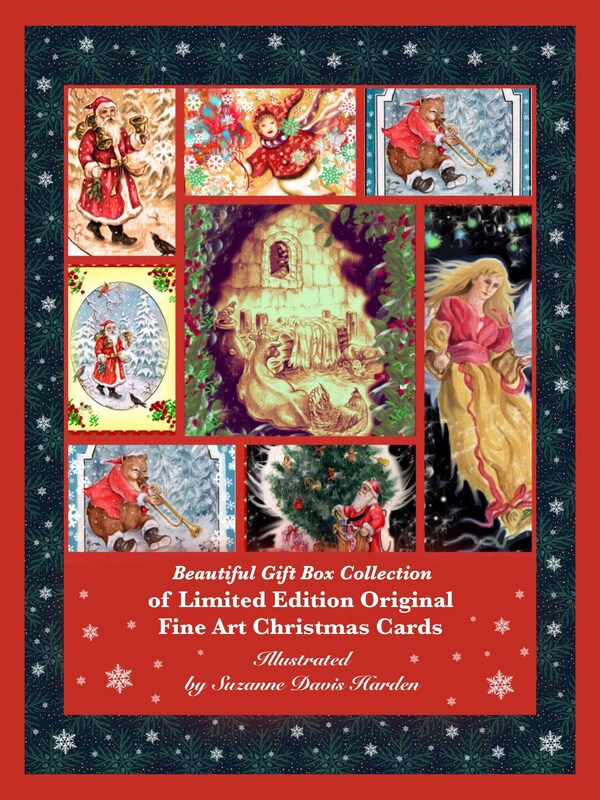 This beautiful collection of Christmas cards features 8 original holiday designs that I created as part of a limited edition Christmas Card series in 2014. The collection comes with 8 beautiful Christmas cards and matching envelopes in an elegant ivory box with a gold band. Each card measures 5 1/2" x 4 1/4 " inches and is printed on high quality archival card stock with archival echo friendly inks. 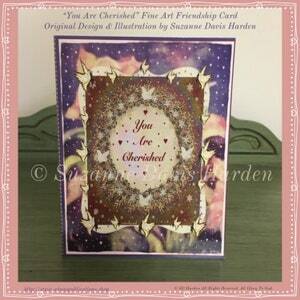 Please refer to the photos to see the images of the cards featured in the Collection. 1. 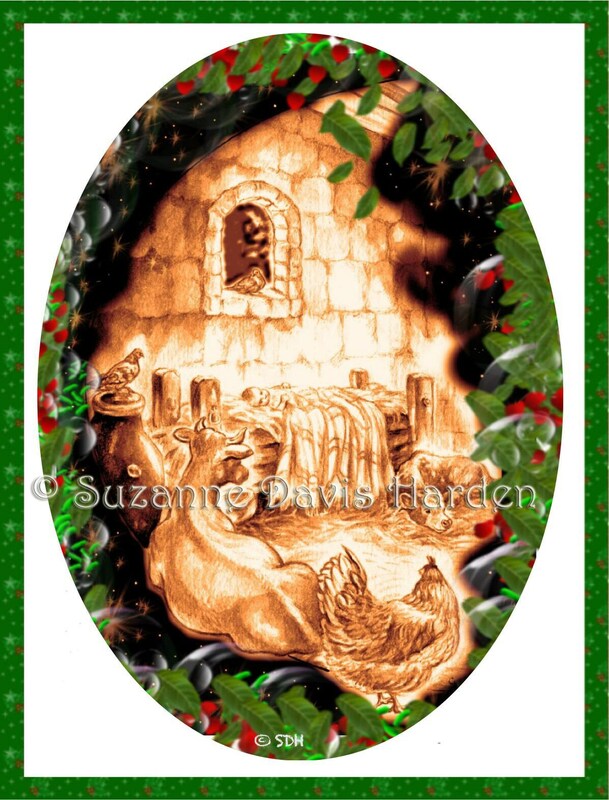 The Christmas Nativity Scene features a peaceful manger scene depicting the infant Jesus swaddled in His humble crib surrounded by the animals on that first Christmas so long ago. Stay always in your home!" 2. 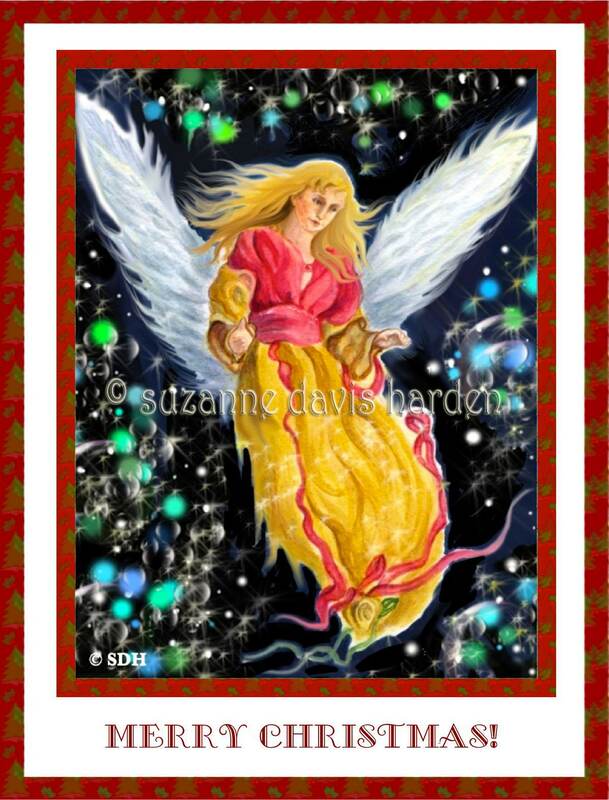 The Christmas Angel features a colorful watercolor painting of an angel that I made just for this greeting card series. Merry Christmas & Happy New Year!" 3. 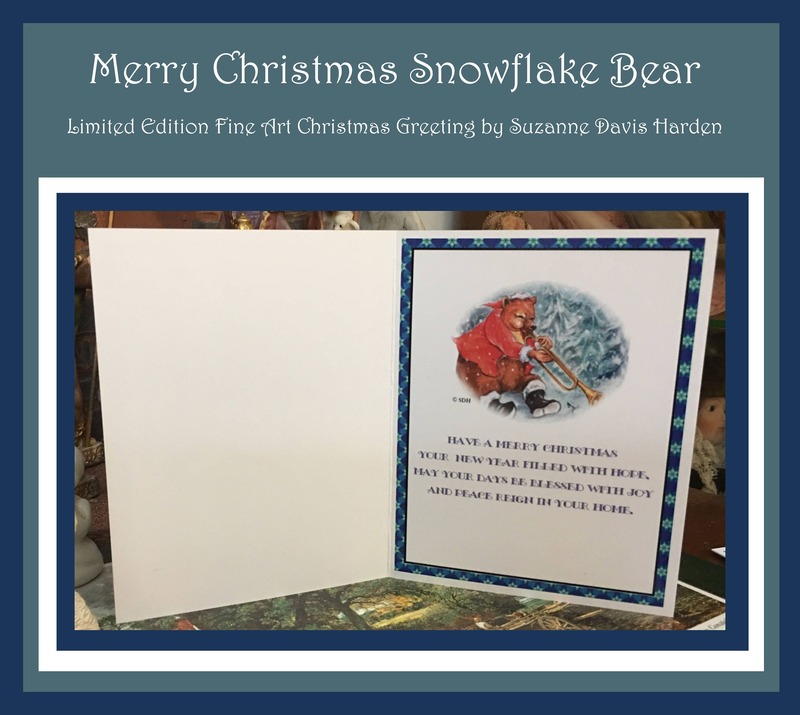 The Merry Christmas Runner features a colorful scene and a happy child running through the snow recalling childhood Christmas memories of laughter and joy surrounding the holidays. "Have A Merry Christmas and A Happy New Year! 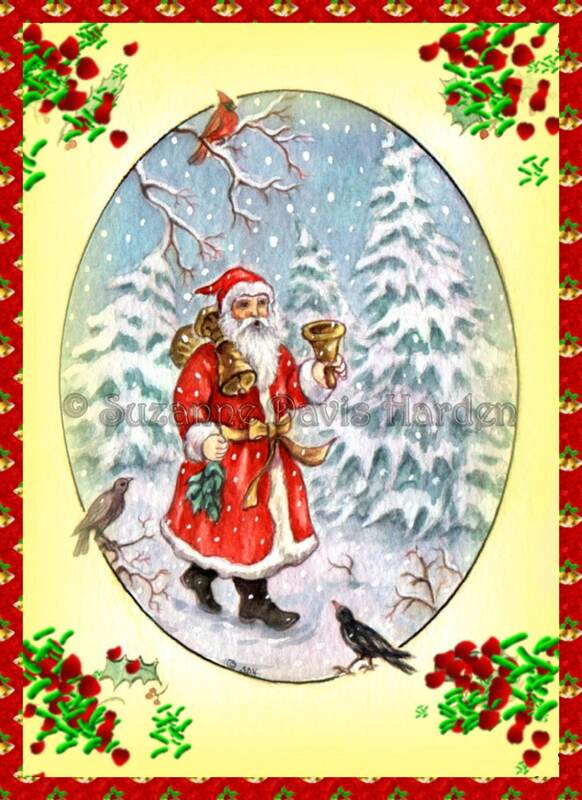 May the Peace and Joy of Christmas for you be ever near!" 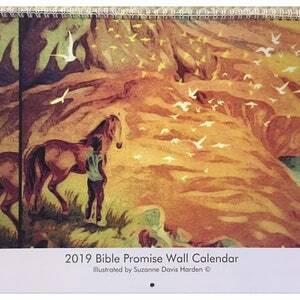 Now and In The Coming Year, May Blessings Follow You." 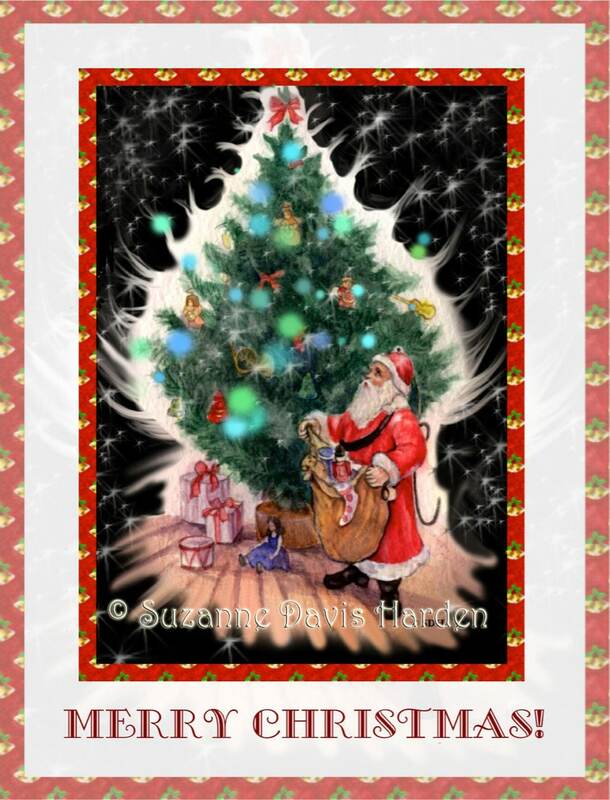 This card features a Santa Clause figure looking upward as he empties his sack of toys beneath a Christmas tree at midnight. He seems to be paying homage to the One who inspired him to do all his gift giving at Christmas, the Advent of the greatest Gift God gave to all people, Jesus Christ, our Prince of Peace. "May All Your Christmas Dreams Come True!" 6. 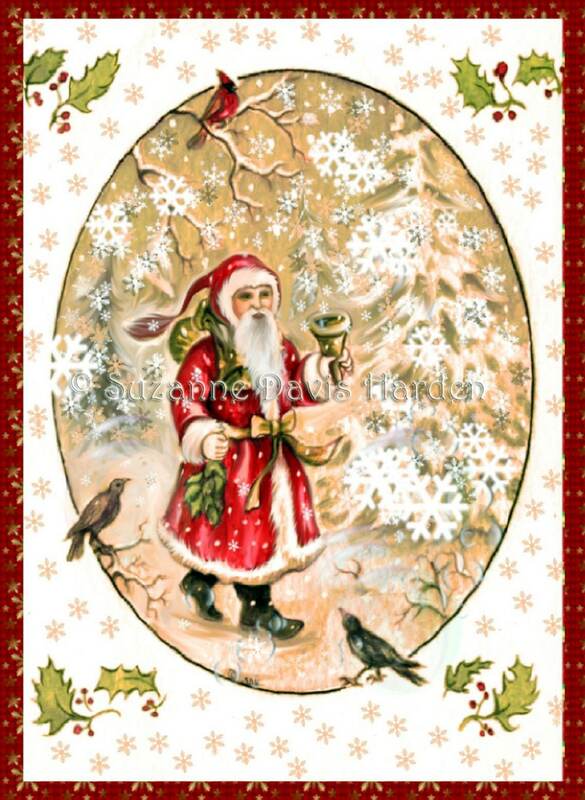 The Jolly Father Christmas Card features Father Christmas walking through an amber colored snowy forest surrounded by birds. Large white snowflakes fall peacefully all around him while he seems to sing with the birds around him "Merry Christmas to one and all." In the New Year be Yours." 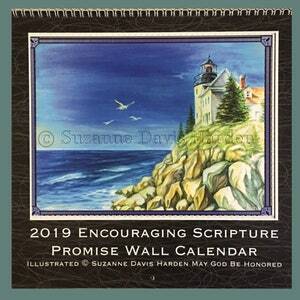 and Peace reign in your home." 8. 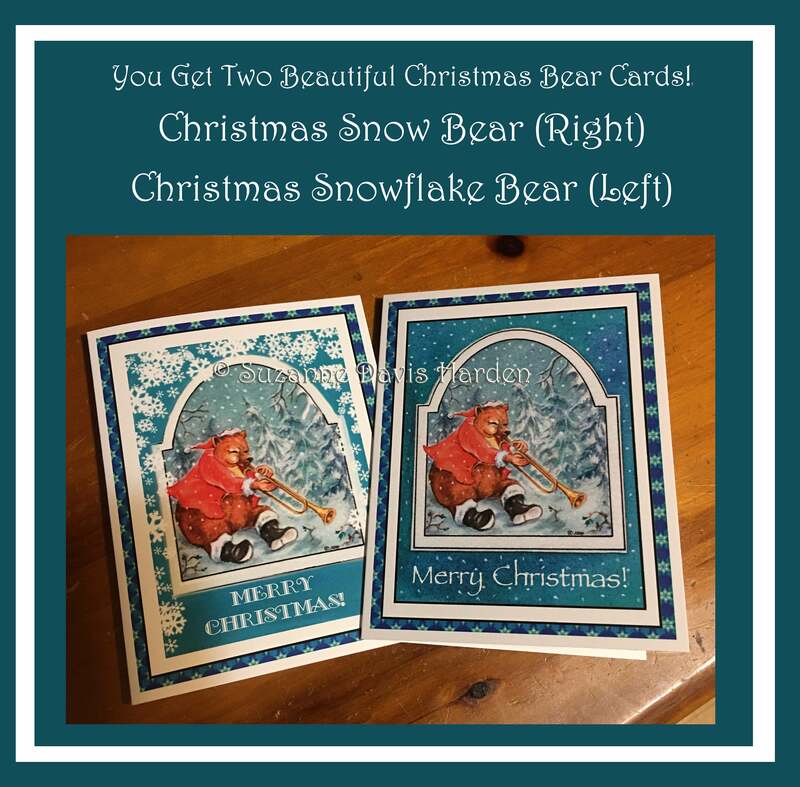 The Christmas Snowflake Bear Card is a variation to my Musical Christmas Snow Bear. 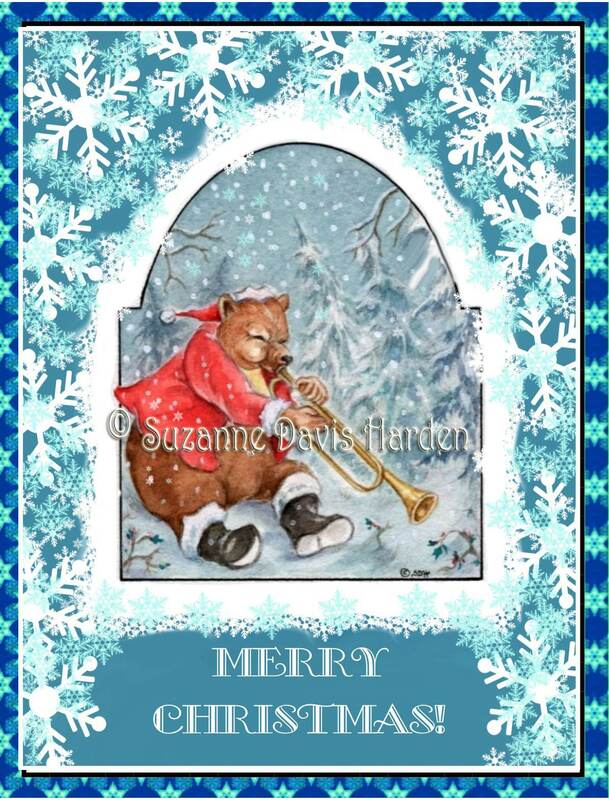 In this scene, the Musical Bear is surrounded by large, lovely white snowflakes! 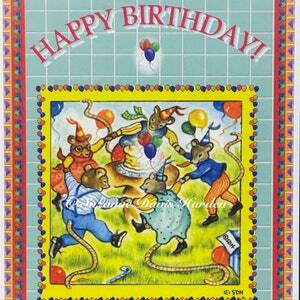 Please see photo in this listing for detail of the interior of this card! I ship your cards via USPS within 1-3 days of your order.